Thank you for the quick response. I already feel comfortable with the indicators and I am sure that I will feel the same with this remarkable "HOLY GRAIL" after a short time playing with it on my charts. Thank you VERY VERY MUCH for these remarkable visual tools that will allow anyone to read the markets like a map . I have heard people hawk their software to that phrase and that turned out not to be true. You don't use that phrase but your software fits it to a tee. I am a veteran trader of 12 years and I day trade the Futures, Forex, stocks and QQQQ markets. Prior to purchase the indicator package fromPaintBarFactory.com, I have used most of the expensive professional grade indicators that are available on Tradestation [forum]. The first night after receiving the package from PDF, I compared their indicators against what I have been using for years. The PBF package is obviously superior than others. The signals get me in early enough in a move, and I am really impressed with the 3 setups that come with the indicators, especially the level 2 setup. Like folks at the PBF said, it is the closest guarantee you can get in trading, when the setup is there, the market almost always moves as predicted. I have been using the indicators to trade live for a while. I can identify real deals vs. BS indicators. The Squeeze is definitely on my top 2 list. I am going to explore some Forex markets to see if I can catch some big moves. Their customer support is also excellent. They answer my questions promptly, often within the hour. My experience with them so far has been excellent. With the help of the indicators, I was able to make the money I spent on them back in 2 days, without any stress. Thanks PBF. Keep up the good job! Got them - love them. Put the major ones of interest to me up on one of my side monitors so I could watch it in real time. Thank you for sending it so promptly so I was able to do this. I believe I did receive the entire package, and the 2 manuals. You did such a great job on your website, I was quite familiar with them before they came! Your website is the best "indicator" website I have ever seen. I trade the ER2 on fast tick charts (successfully, thank goodness), but I wanted to tighten things up a bit. Your squeeze intrigued me, so I just decided to get them all! Your personal commentary was a highlight on your website. Congratulations - I wish you great success. And, I thank you for following up with this e-mail. I doubt I will need any assistance, but when I decide which I want to use and how I want to use them, I will work them into my trading plan and let you know how I am doing, if you are interested. Again, thank you so very much! It is fantastic to see how precise and fast the squeeze reflect to price changes and leads to the new direction. Also it is remarkable, that it works great on different time frames. I tried several charts and setups from 133 ticks, 1min, up to 30min charts. They all look great for ES and other futures and are working fine, pin-pointing good potential entry points and also showing when the strength of the trend gets weakening, indicating to be careful / time to get out with a nice profit. But that is only one side of the story. PBF lives trading really as a passion, and do not handle the selling of their tools as a cool business to make money! Great support, fast answers and responses to questions, the discussions of charts and setups are the other side of the story. No email that did not get an satisfying and educational answer. PBF is highly interested to make their customers familiar and successful with their methodology. I've been trading full time for quite a few years now and have never been fully satisfied with the indicators I've used on my lower time frame charts...until now. Using your Squeeze indicator, I've finally found something that I really like for scalping, or for initiating an intended longer term trade off a lower time frame signal. The Squeeze indicator really is very very good. Congratulations on a wonderful product! It is evident that you have put much time, effort and personal pride into your Holy Grail indicator. I am amazed how accurate it is in putting you immediately on the right side of the trade and keeping you in the trade. No more sweatin' it out, what am I gonna do!!!!! having used the other squeeze for 3 years and used the pbf for 1 month I wish I had them 3 years ago…. Not to say that the other squeeze indicators do not work, as they do, but just not as well as pbf….where the other squeeze will often either not fire at all or will miss most of the move due to volatility the pbf works everytime. It also gets you in early, sometimes very very early. The itunnel and 2ems keep you in a trade and the 3fast ma are fantastic for scalping. The scalp indicator is also quicker than the other one. I have now stopped using the other squeeze and indicators and now use these. Many thanks for your superb squeeze indicator which has transformed my day trading. To trade without confusing and false signals makes my trading much easier and much more profitable. Also your indicator works in real time without lagging price action which is what i was looking for. Great product and support and will purchase again in the near future. Just a quick message to let you know i've made my day's money thanks to the squeeze radar screen, paid for the indicator already. Many, many thanks for your help, support and quick replies to my emails. Looking forward to your strategy and future updates and products. Much thanks for the Squeeze. I can't believe how powerful it is. I've been studying it the last couple of days and you could essentially make a killing just looking for divergences between the squeeze and price. I cannot tell you how much easier trading will be for me having this baby around. Man, it's impressive. Simply phenomenal. Its strange, for a while I saw the examples and chose to not believe - but there were so many trades in so many markets on the site - after a while curiosity got the better of me and I just had to try it. Within days of getting the Squeeze I realized those examples on the site are not picked at random to "look good", you pick any market, any day and the setups are there time and time again. For example had 3 FX trades today make an easy 20 pips each. How you can charge so little for something this awesome is beyond me. After years of "hit and miss" trading, the Squeeze has enabled me to now expect to win time and again, day in, day out. I cannot thank you enough for the Squeeze and for your ongoing support. Having purchased several useless indicators, some earning awards from the TradeStation community, I finally feel I got my money's worth with the Squeeze indicator. I look forward to applying other PBF indicators to my trading arsenal, once I have sufficiently mastered the highly accurate PBF Squeeze. Feel free to print this wherever you like. Being new to the trading world, I was certainly finding it very difficult grappling with the various technical indicators available out there.....until I came across your product which to my immense surprise worked like magic solving my quandary....I no longer needed to sift through umpteen number of indicators to test the outcomes...I had found the key to successful trading in your simple, easy to follow indicator tools. They not only delivered successful results for me, but within a very short space of time I was confidently trading like a pro. What's more PBF delivers what no other similar business out there does - real value added service - the personal support and timely guidance that I received from PBF is truly commendable...many thanks PBF....keep up the good work. From my experience so far, the accuracy of your signals is unparalleled in the industry. You are in a class all by your self. Please keep up the good work! Congrats on adding the MultiCharts version to your slew of products. Please feel free to put up this e-mail at your web site. I have been using the Squeeze for a month now, and for the first time, have found an indicator that is reliable, and what is more important, easily and unequivocally interpretable. It still needs to be used wisely, but shows me for example when to remain out of the market (when the histogram remains near the zero line). Thank you for being so unselfish as to distribute these indicators to others. I really appreciate that. I have been actively trading for over thirty years. I have used so many different indicators and ocillators. None have even been close to the accuracy and timeliness of the squeeze and PBF direction. I had used an ocillator that I had purchased and was satisfied with until I purchased the squeeze. I ran them both on my charts and was amazed at how the squeeze would react sooner and make calls that my other ocillator didn't pick up. I have since stop using my old indicators. Also I would like to commend you on your excellent service. Everytime I have had a question or a situation my e mail was answered very quickly and completely. Hello PBF, about 8 months ago we spoke about your system in great details and your patience was greatly appreciated. Unfortunately for myself I did not purchase your system at that time and I continued to use my system with marginal success. Like a lot traders we tend to jump from system to system without giving one the proper time to prove itself. After reviewing my records,, Panit Bar Factory,, crossed my desk again and I remember the time you spent with me so I decided to give you a try. I purchased your "Squeeze" and your "PB_Direction" and I have to report the first 3 days of trading I netted 27 ES points with specific buy sell signals. There was no confusion on identifying the signals and the system is very easy to use. You have really simplified trading for me . I look forward to buying more of your indicators and again i thank you for your time. I am super impressed with your customer service. You have always without exception answered my emails promptly. Thank you! And the indicators... what can I say; these words come to mind, intuitive, synergy, PROFIT. Creators of these indicators without a doubt know how markets work and to code the indicators that work so well, another word comes to mind... GENIOUS!!! I do appreciate and based on the testimonials you have, others also appreciate and admire your email responses. I know it takes a lot of time. But, we have not come across anyone like you either! LOL You put other companies customer service to shame or should I say they rather look like a sham! I feel guilty to ask a question, because I know you have replied to every single email promptly, kindly and there is only so much time in the day. I want you to know that when I say Thank you... I mean it with every single atom in my body. Thank you! I just wanted to say how impressed I am with your indicator package, as well as your customer support. All support questions have been answered promptly and within the same day! Fantastic! As a purchaser of many indicators and trading systems over the years, I can honestly say that if you can't make money with these indicators, then you can't make money with anybody elses either! It doesn't take long to become comfortable with what these indicators are showing you! Thanks very much! Just wanted to thank you and let you know how pleased I am with your product. I have been experimenting with your indicators for a couple of months now and am finally seeing some consistency. I am very new at this trading stuff with no experience prior to Oct. 2007. Like a lot of other people, I have already invested a small fortune on other systems/indicators. Not all bad in fact being so new I learned something every time but most systems were very overwhelming. Your system and indicators are by far the simplest and easiest to read. Possibly because I've learned so much before coming across your website or maybe its because your indicators are just better. I am quite sure its the latter. I probably would have seen better results sooner had I not made the mistake of trying to combine with another system. After completely switching to PBF indicators and just adding fibs from a previous system, I saw drastic results. After arranging indicators to please my eye and finding the timeframes that suited my style, I began seeing consistency. Even better than that is the confidence I have pulling the trigger. I have been using TS for 5 years already and bought a lot of indicators and strategies on the web. I must said that PAINT BAR FACTORY is by far the best buy that i never did before. All the indicators work as described and integrate well with one another. They are very simple to use, yet very efficient for any trading instrument and time frame. This package has improved drastically my confidence and my success rate. Their support is also very good, they are very accommodating and willing to help their customers. I am trading Futures, all is going well. Just want to let you know, in the last few weeks I am batting about 90 percent! Thanks for excellent indicators (Squeeze and Holy Grail). As my english is a little weak I asked for support and got extremely good support. No questions were stupid, I got all answers I needed. I even got online Remote Desktop help that was outstanding! I look forward to buy more indicators from you and thanks again for this excellent support!!! I am so very happy with the products and services paintbarfactory provides. Questions and concerns are answered quickly and efficiently. The Squeeze indicator stands in it 's own class of technical indicators for traders. I feel every trader should be utilizing this non lagging indicator in their tool box. It is the mainstay of my success in the markets today. Thank you again Paintbarfactory team. I think I am beginning to understand your philosophy of managing the trade on the 510 tick, but actually making the trade on the 133 tick to optimize the entries and exits. 987 tick is just to see the long range trend. These indicators are really neat. I am a very visual person (trained as an architect) and I can quickly scan to see what's going on and then zero in on the stuff that I need to focus on -- like a divergence or a break in direction. I no longer have to make comparisons between bars as I had to with my other indicators. The redundancy of non-similar analyses only further increases the validity of the combination of signals in the system. Wish I had come across your site months ago. It would have saved some pain (and money), but then at least I was grounded by the fundamentals by the other program. At this rate, it would have been easier and cheaper had I purchased all your indicators to begin with. As with most people, yourself likely included, I’ve spent a small fortune searching for a system that I could call my own.. In fact I had not purchased one in ages until I came across your website. The collection of charts you posted and the ones you sent me of last Friday won me over… I could see how intuitive things were and how all the pieces of the puzzle fit together.. If anything, my biggest fault is my penchant for over analysis. And I’m already thrilled you will likely be there to answer any questions I might have along the way. Now I’m just in the process of getting impatient with TS for not getting me my number ASAP so I can go play! These indicators are incredible!!! Holy moly… I set up my charts like you.. a 133t, 510t and took only conservative setups,, only traded in sim with 3 contracts and my own money management system (getting 2 contracts out at one point and trailing the stop on my runner) and am up almost 2K!! and I even missed a whole bunch of trades.. I purchased the squeeze from you folks awhile back. I find it to be excellent in many ways. I have been trading the ES and I find that their divergence plays are without doubt unbelievable. As you watch price coming toward a double top/bottom but the Squeeze bars are not following suit, fade that move. I believe that is a high percentage play. That occurrence which happens frequently in the day is worth 5 times the price of the product alone The Add On Pressure Volume Bar indicator that is thrown in for free will confirm many support and resistance points that you might want to take a trade at. Just thought I would drop you a line for an up date, last night was my first night of going live with real $ and after having the S#*T kicked out of me in the past ( with crappy systems ) I was as nervous as hell. However after jumping in the deep end I have come out on top with a small profit after all losses ( from over trading, trading when I'm tired has a lot to do with this ) so needless to say I am still a very happy little vegemite. I am sure that once I get over my confidence issues and revise my trading strategies this is only going to get better, I just want you to know how much I really appreciate what you have created and this is going to do wonders for my confidence.......Thank you. One good turn deserves another, you are more than welcome to post my email on your web site I cannot praise you enough for your help and efforts I just wish I had found you a long time ago. Wow, these indicators work for me! I've had 4 winners out of 5 so far today (and I chickened out prematurely on that one, I'd have had 5 winners if I'd held). I wasn't around for the bigger moves, this was just trading the shallow trends up and down on a 50 tick with the single fast EMA and the Squeeze, for 20 point targets in the book on CL. Hit this stock two days in a row, 3000.00 buckaroos. Awesome software! Don't take my word for it, but listen to the hype salesman on a stock TV then put PBF to test, you will make your money against so called experts on TV. Let me just say "wow"! I love your thinking here, you have nailed this. You took extraordinarily complicated things and sliced and diced them down to the most essential, effective and visually most useful! I am not saying this as some kind of neophyte but as someone who actually makes a very good living from trading. You crach me up with the "I don't like drawdown" and such. I'm always saying that to my trading buddy and he's always sternly admonishing me that it's "just part of trading." To that I say... well you know... "B.S." Thanks for all your work, this is going to be a GREAT addition to my trading. In combination your PBF indicators are simply superb. Having put some effort into testing them, I decided on the Squeeze, 2MA's and the Fast MA's plus PB Direction with the minor addition of a Bollinger Band. This combination boosted my win/loss ratio significantly and motivated me to buy the 'Holy Grail'. With the implementation of the mighty HG! 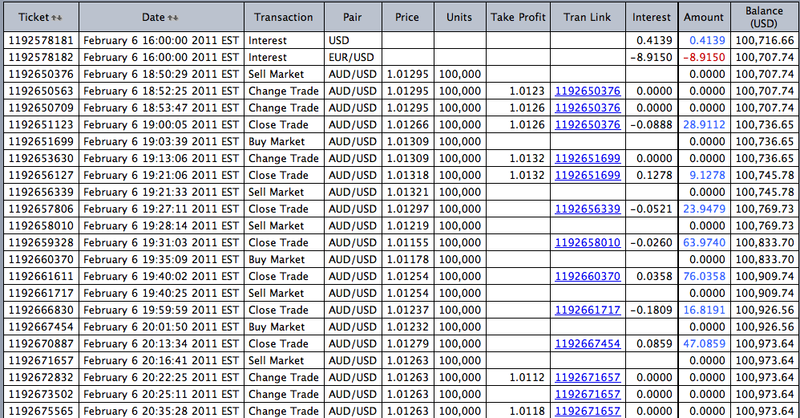 I have now been able to stay longer in trades and consequently my profitability has imporved still further. So I want to offer my sincere appreciation of your ability to fuse trading insight with fist class EL programming skills. I have finally managed to take some time going through some charts a little bit more closely. What can I say, but BRAVO MAESTRO!!! You have done a brilliant job to come up with these indicators. Although I am still new in this arena, I do have some ability to appreciate what you have done. Clearly, a lot of effort and thought is encapsulated within these indicators. I can sense the subtleties that lie within it all. I aim to put it to good use. Also, I demo traded futures on Friday.....the first time I ever traded the instrument and guess what? 5/5 winners!!! Three cheers for your software....and 100 cheers to me. I kept starring at the charts and was amazed at how the PBF indicators carved out the structure of the markets so well. You have done a fantastic job in creating this software. I take my hat off to you. Thanks for your advice and encouragement. I am getting more fired up since purchasing your software. It is akin to a shortsighted person having put on a good pair of glasses. In this case, the glasses being the PBF indicators. I thank you for sharing this with us. Thank you. I hope that I'm one of the ones you don't have to hear from much (freak you out a bit") as a successful client. That said, if I have questions, I'll let you know. Your site seems very compelling, honest, and complete. That is what I appreciated about it the most. I will say that initially, I passed over it because it looked from the initial glance (first impression) as a site sort of thrown together. But once I started reading and looking at the charts I knew that it wasn't a site without significant depth. Then, as I read everything else on your site, I realized how you did business and made no apologies for the fact that you are traders first, developers second. I greatly appreciated that and the no-apologies approach to your method of communication. I am glad that you are willing to share your indicators. I just received the indicators and all I can say is WOW!!! Fantastic. Thank you for the great service and for sharing all your hard work developing the indicators. 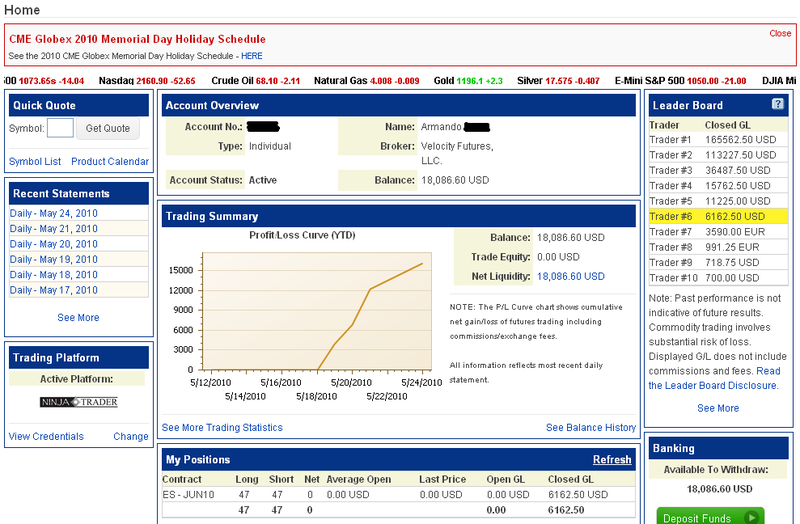 I am proud to be the first NinjaTrader customer. I am interested in the other indicators also. With just the three indicators I have purchased I can see on my charts that they are money makers. Great Job. in the past when I purchased other indicators they might work on a symbol in a certain time frame then when I would change symbols or time frames they didn’t work and had to be adjusted yet I could never seem to get them right. Your indicator is spot on with every symbol or time frame I have thrown at it. Bravo!!! (A couple of days later....) .....I actually feel like I am stealing money from the market with the indicator I purchased. I purchased your indicators a few months ago. It’s taken me a while to understand them and apply them to my style of trading in a consistently profitable manner. The effort, though frustrating at times, was definitely worth it. I’ve now had four consecutive weeks of profitable trading with only a few unprofitable days. I've never been able to do that before. Thanks again for your excellent indicators. Your system is working beyond expectations. I've cleared $20,000 in 5 days---and the batting average (wins vs. losses) is better than expected---about79% positive wins. No losing days---not even near. Umm just took 8 points!!!!! caught the majority of the down move in one hit!!!! made another 3 points on the up. Also took 6 points in premarket, not a bad day in the office!! The trend trade is awesome, I'm going to bed with nearly 20 points tonight, I haven't made this in 1 week before!!! Just finished working the PBF indicators I got a few days ago in the markets this week. You have created some really brilliant, accurate indicators here. Congratulations. I can't wait until I get really skilled at using the PBF indicators if this is what a few days is like. I have been trading over 15 years and am familiar with almost all types of indicators, methods, courses, systems etc. I'm convinced quickly of the efficiency of the indicators and of the great work and research you put into them. Sign me up for Holy Grail. Fantastic. I cannot express how grateful I am to have discovered your indicators and purchased them. Only having them for one week, I am making significant improvements in my trading. You simply have no idea how revolutionary your indicators have been to my trading and ultimately how helpful they have been in my efforts to provide for my family. A million thank you's would be insufficient. Bravo...well done! I just wanted to express my gratitude to you for your fine indicators, as it has been my great pleasure to use them the past weeks. The indicators installed easily and were easy to interpret. I especially appreciate how each compliments the other to give multiple confirmation. In short, they helped me find the good trades, stay away from the bad ones, and removed much of the perspirtation of trading while restoring the fun. I believe that all a trader needs to be successful are your indicators, dedication, and self-discipline. My hat is off to you, you have indeed accomplished what others merely claim to have done. Again, my thanks to you for your achievement. I have seen many companies make spectacular claims about their indicators. Everytime I would look at other companies indicators against a real trading day, they always seemed to disappoint. So when I saw your claims, I must admit, I was skeptical. I must admit that when I tried your indicators, I was impressed. Your indicators signaled a trade, in many cases at a better price and several bars ahead of the indicators I had been using. Getting the notification early, gives me a better chance of having a winning trade. You are always there to support and answer the questions that I have about your indicators as well. I'm very comfortable recommending your indicators to anyone who trades on a regular basis. Thanks for the info below. Many many thanks for your quick response to my order and for all the extra files you sent me as well, what fantastic service. I am still using the squeeze and it has my trading so much better. The manual for the moving averages is worth the money on its own and I will be saving up for the rest of the indicator package to purchase in the near future. Again, I can't thank you enough for all your help and advice since my first order in January 2008. I have been pleased with your indicators for Tradestation. I had used divergences with price and MACD in the past and had lost confidence with it over the last 4 or 5 months. I'm gaining a sense of comfort using the Squeeze indicator with price. It's very good in predicting a reversal in the direction of price. I've started trying some longer time frame trades using your indicators. I've been pleased with some of the preliminary results that I'm getting from using your indicators. I'm using the time frames you sent in the template of 133-510-987 ticks. I'm happy with how well it can help me pick my entry point on the 133 tick chart. I'm starting to learn a lot of the potential. It's required a bit of a change in the way I view my trading. In this case change has been good. Thanks for a great product and good trading. Thanks for the quick response. I've added a few changes to your system which has really helped me immensely. Trading the ES (333 tick & 1220 tick), YM (220 tick & 880 tick) & Crude (333 tick & 1220 tick) I had 10 trades today with 1 loser. There were about 5 others that I just couldn't get to. I'm using an indicator with Bollinger Bands to help me with the entry & the larger tick charts for direction. (the trend is my friend). After 4 days on SIM, I went live today with great results. If this continues thru next week, I show you what I've done. I just wanted to let you know that your indicator's and the "Squeeze" in particular are the greatest things I've found in more than 40 year's of trading. I've had a measure of success over the years but have never really felt fully confident when making trade entries. However I can honestly say that the "Squeeze" has now overcome that problem for me.....I now feel fully confident of making a high percentage of successful entries. When the "Squeeze" is used with confirmation from the "OSOB" (over sold over bought) indicator it's sheer dynamite. Can't thank you enough PBF. No doubt you take the prize for being amazingly fast on your reply to questions, as indeed, your Squeeze indicator and gratis Buy/Sell Pressure indicator are amazingly helpful. I have found both extremely useful for the way I trade the indexes with three time frames. I find your informative explanations without exaggeration, and believe me I have experienced many disappointments since the 80's when I started trading. That noted, I will shortly be adding the Holy Grail, Paint Bar Study and 2EMA Color with no fear of being disappointed by unfounded claims. It seems most appropriate to offer many thanks to you for being so generous by sharing your time and most affordable PaintBarFactory trading software. To say the least, your efforts and resulting accomplishments are greatly appreciated by traders like myself. I would be glad to give you a testimonial, It wouldn't be hard to write one. Your email response time is top notch, I have never experienced the detail and mentoring in your emails from other vendors in the past. Even after I purchased the indicator package, your email responses are more than a quick response to a question, they are very detailed and inspiring, every single question was answered all the time. This is what customer service is all about! As far as your actual indicators, so far so good. I have only traded in Sim with your indicators and all I can say is wow. I haven't really mastered them yet, and the first day trading with them is a complete success, and I didn't even get in at the correct fills like I was suppose to. If I were to fire off these trades when the indicators lined up, then my sim results would be 10 times better. Guys & Gals, if your thinking about purchasing but your going to pass it up and going with another vendor that is cheaper or with a vendor that has a monthly subscription chat room, your making a big mistake. Take it from me, no chat room can replace the PBF indicators and the follow-up emails from PBF. I don't want to sound like a broken sales guy, but really, It doesn't matter if you go with PBF or not. The most important thing is, I have the PBF indicators. I thank everyone that do not have the PBF indicators, because trading is a zero-sum game. With the indicators, I will win most of the time, so thank you for giving me your money. But really, I could go on and on about this stuff. I am so glad I have found PBF. For once in my trading life, I feel that I now control my trading, I don't have to rely on another chat room to tell me to take a trade. Now I know when to take the trade, and at a better fill than those other so called guru's. Have you ever emailed those other guru's? what was the response time on those emails? and how in depth were those emails responses? One or two lines? Exactly! Just go through the PBF web site, have you noticed a ton of information and details, and lets not forget those charts. All those charts and then some. And to PBF, this will not be the only testimonial from me. Just wait till I trade with my live account with your indicators. PBF, If anyone one asks, you can give them my email address. Just wanted to drop you another email to thank you AGAIN. Just logged on and snagged a total of 57 points on GC with 2 contracts and I'm done for the day after 30 minutes. I have been profitable 9 days in a row now, day trading the GC. They say GC is dangerous to day trade due to the volatility and the popping/jumping of the ticks. 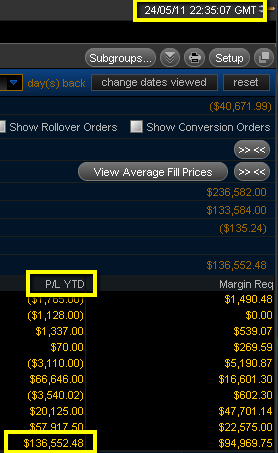 But with the PBF and HG indicators, I have been net profitable for 9 days in a row. Learning not to be greedy and not over trading. Learning how to be patient and just take what I see now. So PBF, thank you for these sets of indicators, I am on my way to gain back most of my losses that I have taken with my other useless lagging 3rd party indicators and trading chat rooms. Hats off to you, and have fun in Hawaii later this month, you sure earned it! Hi! This is to note how great both Paintbar Factory and the new tent trading class are. I've tried trading stocks, options, forex and futures over the last 10 years to limited success. Now, after using Paintbar Factory, I feel like I finally found the "missing link" in my trading. My only regret is that I didn't have it earlier. When I first ordered and paid for it, I remember thinking, "What have I done?! That's lots of money and how do I know I'm even going to get anything of value?" Trust me, it really works WELL and PBF has held my hand the whole way in my learning process. Actually, it's not hard to learn, but I'm terribly stubborn and that hasn't helped. Same with the tent trading class. I had researched [xxxxxxx] several years ago and thought that they sounded great. However, the actual execution of the trade was another matter. After losing more than winning, I gave up that trading strategy. Then, when I heard that PBF was offering a class on it, I jumped at the chance. I knew how well PBF did with their indicators, so I was excited to see how much I could learn about [xxxxxxx]. And it worked. I was up 12.6% after the first week in paper trades, and I really didn't know precisely what I was doing! However, the best part for me was session 3 and learning about [xoxoxox] in on [xxxxxxx]. With PBF's help, it's really easy and really profitable! Definitely the best tent trading class out there! I quickly read your email earlier and then sent back my thank you. I have just now finished studying your email and going over the website areas you suggested (there is much more studying to be done). Again, I am amazed and grateful that you would take so much time to think through and give such great guidance as you did. I know before I purchased the indicators you told me that rather than spend a lot of time answering questions for the “tire kickers” you prefer to spend it helping those who have purchased your indicators. Although there is certainly no implied obligation to counsel those who have purchased from you, your willingness to help is unique among those who sell indicators (besides your indicators are the best) and hugely appreciated. So.... After purchasing the system two years ago, I finally used it! (Ha ha. Late bloomer I guess). After you (politely) nailed me on my remark regarding PBF being only a trend following system I decided to review the rules again (although I would have anyway before trading the system ;>). Executed several 1 contract ES trades to get a feel for how well I have the PBF rules memorized...and how well my discipline can accommodate them. I didn't set the world on fire, but I am getting quite comfortable with the system. I was delighted to find that an idea I had on my own --trading with two timeframe charts-- is actually a suggested technique covered on the website. That was quite validating. Being a teacher by trade (among other things), I take my own lesson here in regards to once you understand the rules it all looks so easy. And indeed, those divergences and trendlines just pop out at you once you have trained your eye. First I want to say THANK YOU, THANK YOU, THANK YOU. I am actually making money with ES. That is something I was not able to do after spending a lot of money on other not so great indicators and bad advise. I would be most honored if PBF will post in their testimonial pages what I am about to convey below as I do feel that the high levels of professionalism and support exhibited by you and your team deserves public acknowledgement. I have been trading options for a few years now and have also completed an advanced options trading course in the past. Recently, I was considering enrolling in the PBF Tent Trading course as I was keen to build further on my current knowledge-base on options within this area of non-directional trading. As such, I wrote to the support team at PBF expressing my interest in taking the PBF Tent Trading course. What impressed me most was that, prior to the enrollment, the support team at PBF made the effort to inquire into my current levels of understanding in order to ensure that the course requirements offered by them would meet my needs. After several email exchanges, I was told that this course would not be necessary for me to partake given my present understanding of the trading instrument. Based on the above, it is clear that PBF has a more important agenda than merely generating further sales on their product. Their keen interest in ensuring that their offerings would indeed meet their customers' needs before anything else, demonstrates a genuine level of commitment and respect afforded by PBF toward their customers as well as the upholding of a strong sense of honesty and integrity within themselves as human beings. This is indeed, rare. As such, the exhibition of these worthy values within the central business ethos of PBF is to be applauded. Furthermore, I also own the complete set of PBF software indicators. Since purchasing the software, the level of customer support continues to astound me. They have always been there to assist since day one of my purchase. To all at PBF Support Team, please accept my good wish of great success in all that you do. May your work continue to flourish. What fantastic support you give to a "newbie" like me . Wish there were more people like you in this trading world! ( feel free to use that comment in your testimonials). I am so glad to have discovered your web site and the powerful Squeeze and Holy Grail indicators that you have created! Since I purchased and installed your indicators, I have gone from a trader with mostly consistent loses to a trader with mostly consistent wins. Of course I still have to use discretion to know the difference between chop and trend, but having your products on my Ninja charts is like having a lantern to lighten a dark and confusing pathway. Thank you again for your masterpieces. You have helped me more than what I can possibly say. I am deeply indebted to you for creating such powerful tools. I use Entry, 2EMA, F3MA, Squeeze, and Holy Grail in a different way than most traders but it has made a revolutionary change in my trading. To all would be subscribers and/or current subscribers to PBF Products. Over the past year I have purchased all the Day Trading Indicators. Let me detail my experiences below. I have been day trading for a number of years, with spread-bet platforms, set ups from other vendors of trading systems, options strategies etc and I did not find anything that suited me until I purchased the PBF trading system. I like to make quick decisions based on price etc and PBF indicators give me that. Other systems where one is waiting for a bounce of an MA or Pivot level, to get an entry are much more subjective, and were not clear enough for me. Also I dont like the fixed stops of many systems, as I hate losses like PBF define. I will exit a trade if it does not move in my direction almost immediately. I have issues day trading in that I take too many entries and PBF Support and I have exchanged over 100 emails on questions I have asked etc. The answer are always clear and cover questions raised by myself, AND I COULD NOT ASK FOR BETTER SUPPORT FROM ANY OTHER COMPANY I HAVE DEALT WITH. Also, it must take time for PBF to answer so many emails fully and completely as they do. My day trading issues is something I have to learn to deal with, as when I enter trades correctly and let them run to exits as defined by his systems I always make profits. Its when I overtrade and take late/incorrect entries that I make losses. I would not consider using any other Incicators. I cannot recommend PBF highly enough, and all the service feedback they provide. Of course, i will send you my experiences & results, yesterday was a beautiful day of how was working PBF and his maravillous pictures tick by tick learning how indic. working together, i couldn't trade only visualice all possibilities, and YES my friend , limit is the sky, very very good potential, starting step by step and losing my old fears. Well you know my bad english, i try better send an image whith my trades is better that 1000 words. 1. The PBF web site is the most comprehensive one I have seen. Extensive screen shots are shown to illustrate both the indicators and the tents. There was no attempt to “cherry pick“ the illustrations. I have found both the indicators and the tent training to be excellent. 2. PBF offers the best online support I have experienced. Emails are answered promptly (after market hours) with detailed responses to queries. I cannot imagine any better technical support. 3. Both the indicators and the tents show creative originality. The products produced by PBF are definitely far above the typical offerings in the field of technical analysis. I have had TTM Squeeze for a lot of years and have always been unhappy with the indications of momentum shifts and entries. I stumbled upon your web site 3 days ago and bit the bullet for your version of the squeeze. Glad I did. One additional item: actually being able to pick out divergences with your version of the Squeeze is truly fantastic. Rarely got to see those with the "other" version. I loaded the new indicator package and it works great! 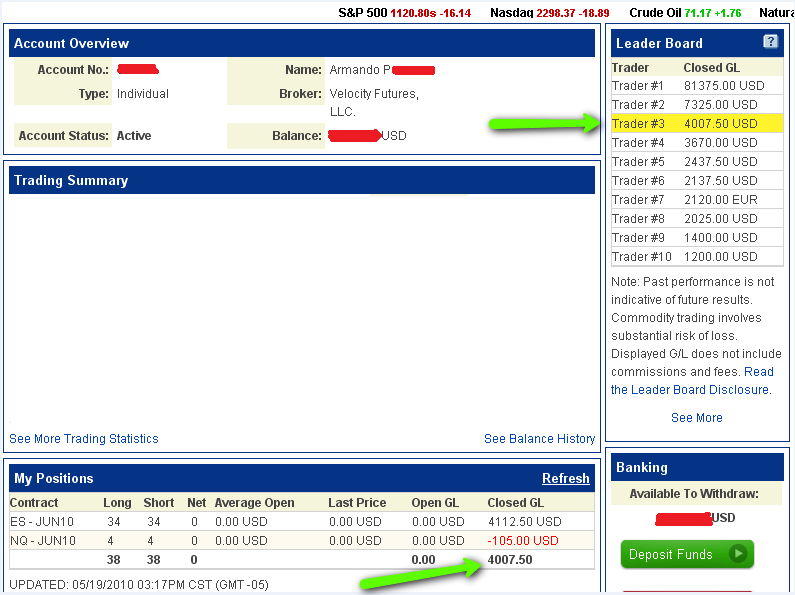 Today I sim traded for 2 hours in the morning and 1 hour in the afternoon and made $1,500 following the indicators. Not bad for the first day! I traded the "YM" and the "6E". So far I love your program! Thanks for all your help. The indicators are GREAT. I got them imported to Ninja yesterday, set up my charts and this morning around 6 am I made $1184 in 5 minutes. The indicators are very user friendly and fit right in with my style of trading. The iTunnel, Scalper Dots and really the entire system read the market quite well to get me in and out of the market at the right time. I read all of the two manuals this afternoon and this reading will add even more to a positive understanding and sure profits to my trading account. It is good to know that there are people in the industry like you who sell a quality product to small investors like me. My two sons in San Antonio are anxious for me to give them a demo as they are very interested in trading in the near future. Woaa¡¡ what a 3 weeks, there is a lot of info to digest and my pencil is empty..
Really taking this course was a real faith jump. My english is very simple and hearing english and with americans for me is nearly impossible. I would like point out that after several mails trying to take this course, PBF owner, always recommended don't take webinar because my big problem in hearing english but I felt that this time all effort was important. I always appreciate your reserve about taking this course because you really talk very fast but surprisingly your voice was loud & clear and helped with a very good microphone gives me a smooth learning experience. An important point for me at least was that you always follow your fantastic manuals for each week and i could follow very well practically more than 80% of all conversation. About Tent course, i think that is very easy if i follow your guides and only with your basic strategies i can make a monthly income without excitations how day trading, but with your fabulous PBF indicators that i own also ;), my day trades are much more easy and profitable after June 2010 when i was found to you. I only could recommend for all foreign traders, investors to discover this site (PaintbarFactory.com) and over all the fabulous guy that teach you an revolutionary method as if were playing a little toy'¡¡. But is a real LIFE CHANGER. I'm start to feeling how big and good is this method. About support is only FANTASTIC, Generous, Kind, i never see this HIGH Quality and i had taken several courses , i know what i say. With all my deepest thanks. I have been trading for 3 years and have, like many of you, spent literally tens of thousands of dollars on courses, indicators, trainings, seminars, all in the effort to join the famous 5% that consistently earn money by trading. It never occurred to me that I could be shown in 3 intense 5 hour sessions on Saturday afternoons basically everything I need to learn in order to meet my financial goals. This course is profound because it is taught by someone who is 1) an absolute master of the subject 2) totally focussed on the business of making money 3) is actually earning his own living trading 4) is HONEST 5) is not holding back anything. 6) is happy to answer intelligent questions and only mildly annoyed by stupid ones and 7) is a delightful human being that is smart, funny and, completely rare in this business, generous with his knowledge and his time. If you are lucky enough to find this class offered again and there are spots available DO NOT HESITATE. At some point my guess is the course will be taken off the market. When that happens, those of us who have taken it will be "made guys". And those who missed it will still be out there, wasting money on more overpriced BS. Think about it. If this is the very first time that you ever come across the markets and you have any interest to learn how to make money from it, then you are the luckiest person in this world. You have found the closest-best-deal person you will ever find that will teach you what it means to make money in the markets no matter win or lose. Sebastian is the most open and honest person you will ever meet, once you see how much effort and heart he puts on his classes to teach you his techniques you will as me recommend him and put your hands on the fire for him. If you learn the basic Tent trading techniques and apply them exactly as he teaches them and after you understand every single thing detailed in the manual, you will be able to profit from the markets almost right away. The learning curve is supported by a great group of people (Google Groups) looking forward to help you make the best decisions and work together for the ultimate goal to profit from the markets. This only makes the whole course worth every penny. After finishing my second month trading the basic tent strategies outlined by Sebastian, I was able to make around 890$ after comissions in ONE WEEK using the Earnings strategy on AAPL and AMZN, and I did play earnings EVEN MORE SAFER than necessary (I just like to sleep well at night). 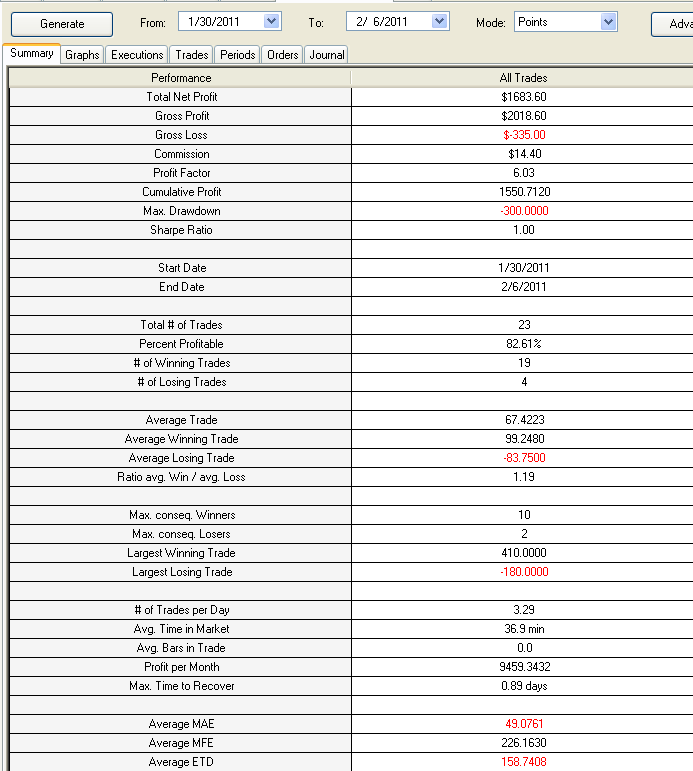 On my paper trades during the teaching process I was able to make around 1300$ using around 10k margin. And just for the records this was not even the exact recommended way to do this trading (you will learn more about this in the class), since before starting a trade you will do what you will learn in week 3, then week 2 then week 1, and this trades just for the sake of the learning purposes were made in reverse order. Thank you very much for giving me the opportunity to learn your Tent trading techniques, and I hope to do as much for you as you did for me. I have read everything on your website, very impressive. I been trading actively off and on since 1986. Over all I have not been successful, with the many tools, indicators, systems, education, I have bought over the past 25 years. I have a sense that I may be able to have success with your indicators as I saw how they displayed today and it looked impressive. I will try my best to learn and use them and maybe in the future I can be one of those giving a nice testimonial like I read on your website. Only time and hard work will tell. Thank you for going the extra mile. It is greatly appreciated. By the way, your indicators are worth more than gold. I have never seen anything even close to matching their performance. Keep up the good work! As usual, Great Job! The results I get from every Indicator/PaintBar that I've purchased from your Company and plotted on my charts leaves me speechless. There is NOTHING else like this! Trade Well and Keep up the good work! P.S.- Feel free to use my comments. Just wanted to send a quick note on the PBF indicators I have bought. I have to tell you that it has made a significant difference in my trading in only a few short days. It literally has kept me out of trouble, and has kept me in the right direction. This is pretty amazing, it is accurate every time if you allow all the signals to develop for the trade. I am still getting used to it and letting it build confidence to stay in the longer trades, but each day is better and better. The Paint Bar Direction is also a great tool to count waves, just not to give the sense of the market, just simply WONDERFUL. Great work on developing these indicators. Thanks again for all the help in answering my questions and concerns before and after the purchase. I will be back in a few weeks to get the scalper dots in helping to determine the high and lows. 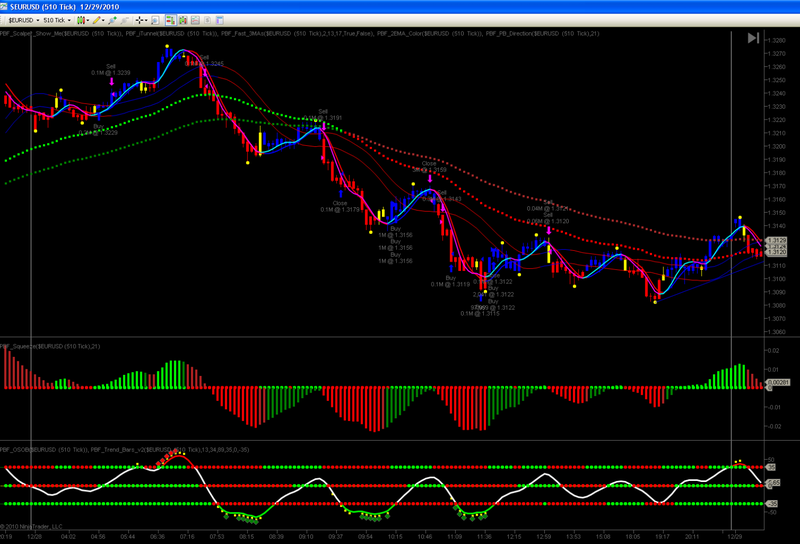 i have been studying the indicators and paintbar info and the slide show of the charts. i like what i see. i also placed the indicators on the charts i traded this past week and was amazed at how much better i would have traded if i had followed the squeeze and direction signals for entry and exit. i am curious if you have strategies available for tradestation that automatically entry and exit positions based on your indicators. thanks. How are you man? I spent a lot of time over the past couple weeks learning your indicators. I pulled up a lot of historical data, and I clicked forward one bar at a time, until I felt comfortable with what your indicators were telling me. I honestly spent over 100 hours in the past 10 days doing this. I must say that I am now completely blown away by the holy grail indicator....WHAT A MASTERPIECE!!!! It really does an incredible job keeping a trader on the right side of the market. I still feel like I have a long way to go, but I am making fast progress. I found a trade setup on the HG that I backtested over a one week period, and the results were incredible (over 100 PIPS a day on the Euro/Dollar). I will be doing sim trading with this strategy this week, and I hope to obtain similar results! All I can say is that I am so thankful that I ran into you.